The 109th Honorary St. Pat and Honorary Knights have just been announced. 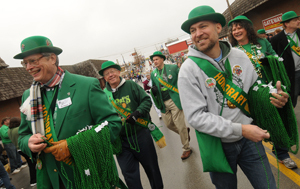 Bob Edwards will be Honorary St. Pat and parade marshal for the 109th St. Pat’s celebration. The eight Honorary Knights are Dr. Susan Bowles, Walt Branson, Alisa Green, Dr. Barbara Hale, Lt. Oscar Kemp, Dr. Ashok Midha, Dr. Melanie Mormile and Dr. David Russell. The Student Knights and Queen candidates have also been announced! Wave to them during this year’s parade and be sure to congratulate them if you seen them around Rolla. Here is to the Best Ever St. Pat’s celebration! The full listing of Student Knights and Queen of Love and Beauty candidates has just been announced! Be sure to congratulate all the participants and look forward to seeing the winners in the parade on Saturday! 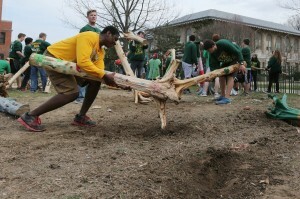 In the meantime, see all the snake bashing and Follies action on the Missouri S&T Flickr account.